Had to put some UW shots together for a friend so I thought I would post at least one. 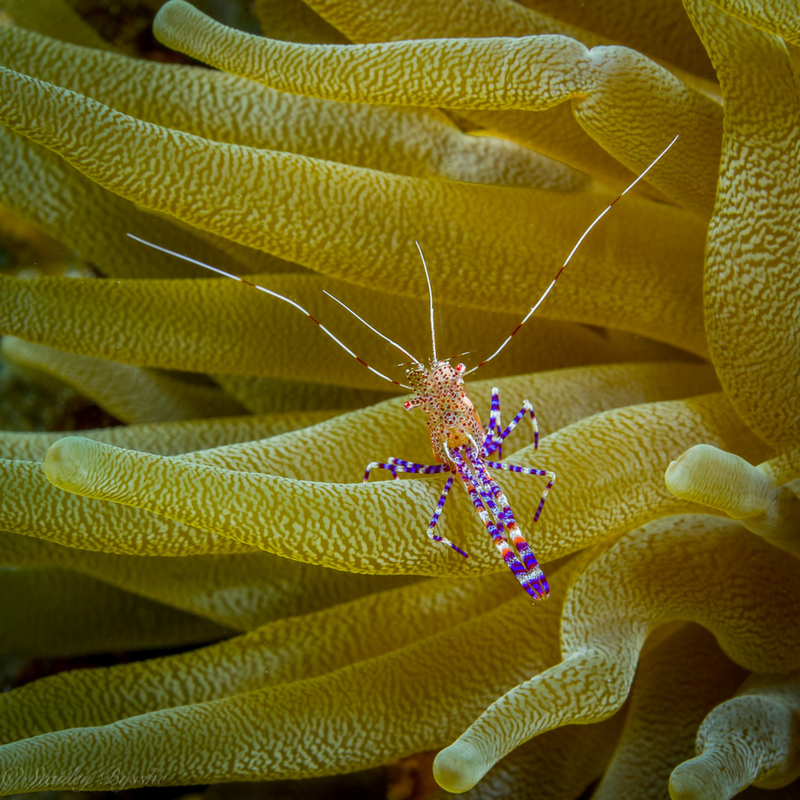 Spotted Cleaner Shrimp, Periclimenes yucatanicus. They host anemones and get protection in the tentacles. Waving their bright claws and antenna, the shrimp attract fish to this cleaning station where the shrimp jump on the fish and pick dead tissue and parasites from the mouth and gills of their client. Nikon D3s, 60mm macro, 1/250, f 18, Inon strobes, Aquatica housing. Great shot Stan, I came across a few shrimp on my Lembeh strait dives and some were crazy difficult to shoot, constantly on the move and the AF did not like the mostly transparent ones. Striking shot and cool subjects! Last edited by Craig Lipski on Wed Nov 28, 2018 10:05 am, edited 1 time in total. Beautiful image - the shrimp is an exquisite creature. Excellent detail in this wonderful image. Very well done! Stan, what a beautiful, colorful shrimp and so well captured. The details, textures and colors on both the anemone and shrimp are quite striking, very much enjoyed. A stunning image! beautiful colors on shrimp, stand out against the background. tentacles of anemone provide a nice background.